ATLANTA (WXIA) -- Experts say the fallout from the conflict in Syria is the largest global humanitarian crisis since World War II. The world's largest non-governmental organization, CARE, is addressing it -- and it is headquartered right here in Atlanta. 11Alive's Brenda Wood sat down with CARE USA CEO Michelle Nunn about her first 100 days on the job. One way to make a difference, Nunn says, is to bring awareness. CARE is doing just that this weekend in Atlanta. On Saturday, October 10, CARE is hosting a celebration on the Atlanta BeltLine called "Walk for Lasting Change" as part of the International Day of the Girl. It will include kid-friendly activities showing what life is like for a girl in a developing country. If you would like to donate to CARE to support humanitarian efforts across the globe, visit CARE.org. ATLANTA -- Four developers will compete to build a new hotel alongside the new Falcons stadium. One of the potential developers says he wants the Atlanta Falcons to be part of the project. Atlanta based Legacy Property, which built the Embassy Suites hotel near Centennial Olympic Park, is one of the bidders. David Marvin, president of Legacy Property, told 11Alive News that he's "highly desirous of finding a way to partner with the Falcons" in the hotel project. Marvin says his group has begun talks with the Falcons but "it's too early in the process" to says how much of a stake the Falcons would have in the project if the GWCC selects his firm to build the hotel. ATLANTA -- Thousands braved the rain Thursday for the Kaiser Permanente Corporate Run/Walk 5K. While the weather wasn't entirely cooperative, crowds were excited to attend the annual event. The 11Alive StormTrackers were on hand to keep crowds informed of storms moving through the area -- and snap pictures with enthusiastic viewers! Last year, more than 18,000 runners and walkers representing 400 companies filled downtown streets in the race and corporate celebration that's become a popular annual event in Atlanta. 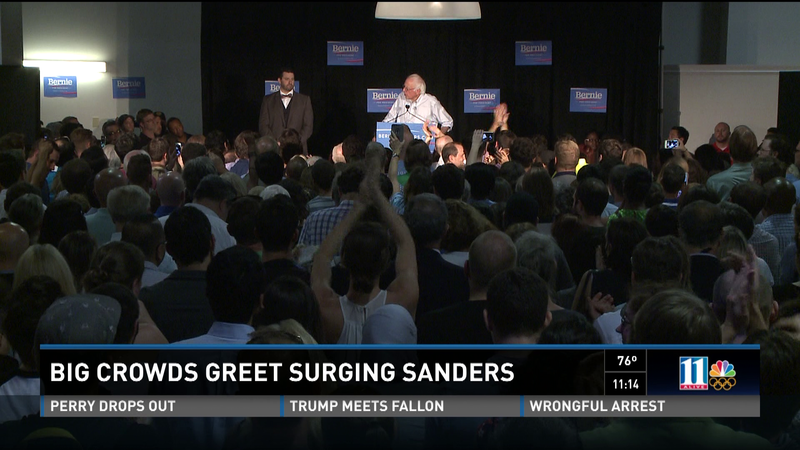 ATLANTA -- For anybody who thinks Senator Bernie Sanders is just some cranky old socialist out of Vermont… think again. His message is clearly striking a chord with voters, especially in the north. The question now is can he sell it in the South? ATLANTA -- The kitchen at Aviva by Kameel restaurant is literally, Samer's refuge. Samer arrived in the U.S. in the spring. 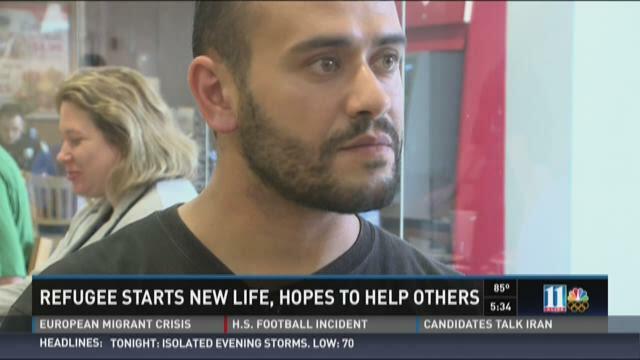 He's one of about 50 Syrian Refugees the State department has placed in Georgia so far. ATLANTA (WXIA) – Labor Day brought out hundreds of teenagers to Underground Atlanta and surrounding areas, but it also led to fight after fight in the area – which in turn, brought police cars and sirens throughout the evening hours. On a day off from school, and on a day when MARTA offered free rides, crowds of teens catalyzed a night a chaos. “I was walking by earlier, and I just saw a dude sucker-punch somebody, and next thing you know, a Grady ambulance came,” the bystander said. Atlanta Police spokesperson Ralph Woolfolk said that a large group of teens were reported to be “acting disorderly.” By 9:30, according to Woolfolk, the group had dispersed. 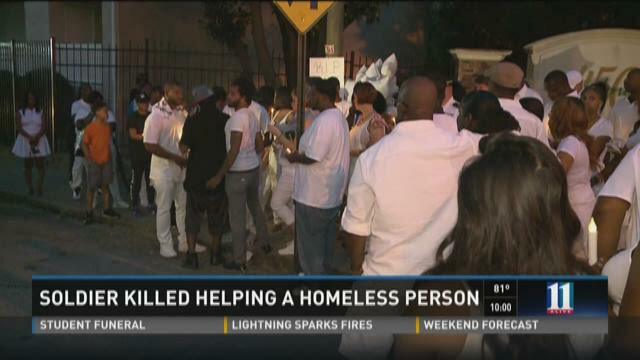 ATLANTA -- More than fifty friends and family held a vigil for a soldier who was killed on the streets of Atlanta earlier this week. Sgt. Atting Eminue was shot and killed while helping a homeless person outside a city homeless shelter.